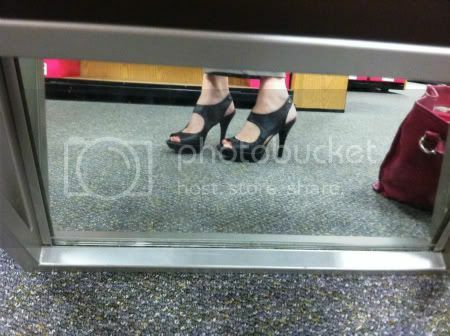 I was browsing the shoe section at Kohl’s when I spotted a misplaced pair of heels on a shelf in front of me. It was just the one pair. They were black and super cute. I picked them up, realizing they weren’t my size. I liked them enough to look for more, so I started walking up and down the aisles. I had almost given up when I spotted them. It was quite the magical moment when I realized they had two pairs in my size. Unfortunately, the box said $69.99. I told myself I couldn’t rationalize a pair of $70 shoes. I wasn’t at Kohl’s for shoes. The more I stared at them, the more they called my name. Misty! Misty! Misty! I decided to try them on. It would make me feel better if they didn’t fit, or looked ugly on my feet. And that, ladies, is when it happened. The shoes fit like a glove. The shoes were comfortable. Upon my feet, the shoes became the hottest pair of shoes ever. I took a picture, texted the best friend and told her I couldn’t buy the hottest pair of shoes ever. I told her I might cry. I knew she’d understand. With extreme sadness, I walked back to the shelf. That’s when I realized… The $69.99 pair of the hottest pair of shoes ever were ON SALE for $39.99. I texted the bestie as I hugged the box tightly to my chest, told her she could borrow them anytime and ran to the register as angels were singing. Hallelujah! Hallelujah! Hallelujah! A $40 pair of shoes is a STEAL when your best friend wears the same size. It’s really a win-win situation for everyone. Here is the picture of the hottest pair of shoes ever, that I took in the store with my trusty iPhone. They'll be making their debut at GIRLS' NIGHT OUT tonight! LOVE! Vera Wang has some adorable shoes! 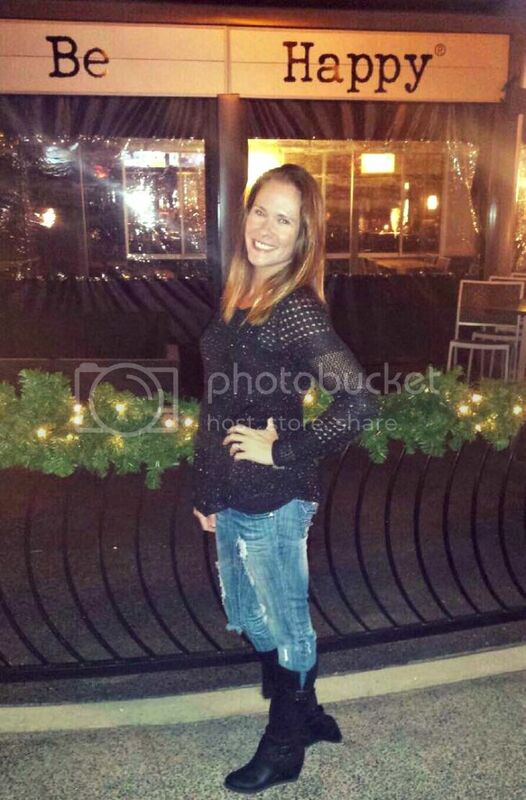 I just recently bought a pair of wedges from there and love them! Dammit, why do you have to be wearing them tonight?! I saw them on twitter. They are magnificent and look amazing on your feet!! I'm so glad they were on sale! Oooh, those are hot! I actually bought a pair of VW shoes on whim earlier this year and love them. Doesn't them being on sale make them ever hotter!?! very nice! they look pretty comfortable for a pair of heels too! GIRLFRIEND! I have those SAME shoes. Promise. They are THE most amazing shoes...love 'em! Unfortunately, I paid full price. Boo. Love them. I hate when a pair of shoes knows my name, 'cause danged if they don't keep calling til I take them home. Oh my gosh, seriously WOWZA!!! You would rock those babies! Those ARE hot! Don't you just love a good sale, it's exhilarating to find a great price on something you love! This is why I have shopping "issues"...it's addictive man! Love those shoes. They are perfect for a girl's night out. Very cute shoes but I'm doubting you when you say they are comfortable. They look like they would hurt after five minutes! I love them! I'm sort of surprised that I'm a fan of Vera Wang stuff at Kohls. It's all so cute. (Doesn't hurt that my BFF is a manager there either).